Juventus make take it or leave it offer for Spaniard | The Transfer Tavern | Where football transfer rumours fly or die! Football Transfer Tavern favourite Fernando Llorente looked all set to be playing the Premier League after the January transfer window; that was until Juventus stepped in and offered £4 million for the striker last week. Arsenal and Liverpool were both eyeing up a move for the forward when he became a free agent during the summer but are not willing to match Juventus in offering money for the 27-year-old during the current transfer window. Athletic rejected a first offer from the Turin giants earlier this month but the final take it or leave it offer will make it difficult for them to hang onto their star striker. Although he hasn’t played much this season, the La Liga side want to make him stay until the summer as a matter of pride and are not in desperate need for funds after selling Javi Martinez to Bayern Munich during the summer. The Spanish international has suffered a disappointing season for the Basque side after falling out with the club over his inability to agree a new deal but he is still regarded as one of the finest finishers in Europe. If Bilbao turn down this final offer, it could open the possibility that an English club could still capture Lloretne on a free transfer in the summer. 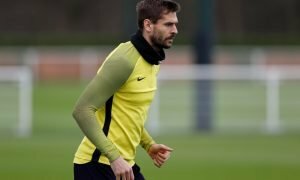 Will Juventus land Llorente during January? Vote in our polls below.